Advanced Furniture Solutions provides new, used, and remanufactured office furniture and commercial flooring. They fulfill the needs of government agencies, educational institutions, large corporations, small businesses, and home-based entrepreneurs. “Because we represent over 150 manufacturers, we have the exact type of furniture items and styles our customers are looking for, at reasonable prices,” said Jillian Hubbard, president and owner of the company. Advanced Furniture Solutions provides much more than just furniture and flooring—they are professionals that provide solutions. They deliver innovative workspace solutions that consider office design, traffic workflow, ergonomics, and individual workspace configuration. In addition, their trained staff provides furniture delivery and installation services. They provide upholstery cleaning, too. Recently, Hubbard wanted to expand into the government marketplace. 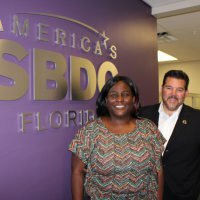 She immediately recognized the high concentration of government agencies in the Jacksonville area and the potential of this untapped market for her business. She had many questions and turned to the Florida Procurement Technical Assistance Center at the University of North Florida (UNF) for answers. Through Government Contracting Services offered by the Florida PTAC at UNF, she met with Don Zavesky, a Procurement Specialist, to discuss Advanced Furniture Solutions’ business goals and explored the potential sales opportunities in the government marketplace. Over a series of no-cost consulting sessions, Zavesky worked with Hubbard and her team to complete required government registrations, apply for small business certifications, develop a business development strategy, and pursue winnable government contracting opportunities. 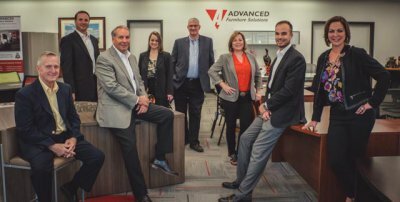 Over the past year, Advanced Furniture Solutions has experienced substantial growth and success. The hard work is paying off; company sales have increased by nearly one-million dollars. 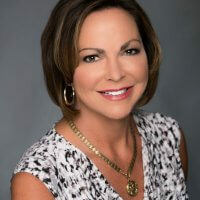 In addition, Hubbard earned the recognition of the Jacksonville Chamber Professional Women’s Council as the “Small Business Leader of the Year.” This recognition also included admitting Hubbard as a lifetime “Jacksonville Circle of Success” member. "Don and the [Florida PTAC at UNF] team have been a great resource to us. When we have questions, we can count on them to be there with the answers "
- Brian Book, President - Book Zurman, Inc.